Xpanxion, a custom software services provider, announces Kelly Barnes as its new Vice President of Rural Centers. With Kelly’s recognized history of success utilizing innovative team-building and recruitment practices in conjunction with educational institutions [...] we are confident Kelly will play an integral role in helping us grow and succeed as a team. Custom software services provider, Xpanxion, has announced that Kelly Barnes has been named Vice President (VP) of Rural Centers for the company. 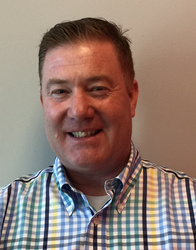 Barnes will be based out of Xpanxion’s Kearney, Nebraska office. Barnes has spent the last two decades connecting technology with business to provide tangible business benefits for some of the largest, most recognizable global brands. Barnes also holds certifications across a wide range of technology disciplines, including software development, network engineering, system administration, computer hardware, quality assurance/testing, and Agile project management. With more than 25 years of experience in information technology and business, Xpanxion is confident Barnes will be an important asset to both the growth and success of the team and is excited for the knowledge he will bring to Xpanxion’s rural operations in Nebraska, Iowa, Kansas, and Colorado.